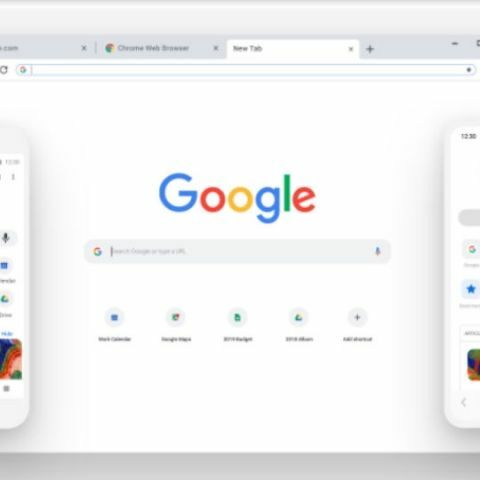 With the new Chrome design for desktop, Android and iOS, Google says that its users will be able to get things done more quickly and safely. It’s a special day for Chrome for two reasons. First, it is celebrating its 10th birthday, and second, Google has rolled out Material Design theme to Chrome on all platforms - desktop, Android and iOS. Generally, the company brings changes and security updates to Chrome in every six weeks, but just like you get dressed before you blow your birthday candles, Google also gave a new look to the “birthday kid”. Here’s a rundown of the updates that are being rolled out for Google Chrome. Google has aligned the look of Chrome with the Material Design that it has been rolling out to its other services and products. You will notice new icons and a new color palette. The address bar and tabs are round giving a clutterless overall look and clean user interface. Gogole says it changed the shape of the tabs so that the website icons are easier to see, which makes it easier to navigate across lots of tabs. “On mobile, we've made a number of changes to help you browse faster, including moving the toolbar to the bottom on iOS, so it's easy to reach. And across Chrome, we simplified the prompts, menus, and even the URLs in your address bar,” Ellie Powers, Chrome Product Management Desktop Lead and Chris Beckmann, Chrome Product Management Mobile Lead, wrote in a blog post. When a user is on-the-go, he or she wants to get things done quickly and easily. Google says that the new Chrome can more accurately fill in the passwords, addresses and credit card numbers. All the information is saved to a user’s Google account and can also be accessed directly from the Chrome toolbar. “We’ve also significantly improved the way Chrome handles passwords. Staying secure on the web means using strong and unique passwords for every different site. When it’s time to create a new password, Chrome will now generate one for you. Chrome will save it, and next time you sign in, it’ll be there, on both your laptop and phone,” the executive said. The smart search displays the answers to the questions in the Omnibox itself. The box at the top of Chrome that works as a search bar as well as an address bar is called the Omnibox. 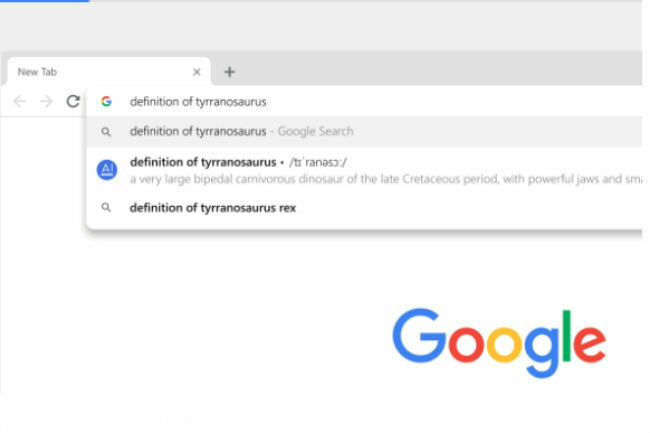 When you search something on the new Chrome, It will now show you answers directly in the address bar without having to open a new tab making it even more convenient to use. The results go from public figures or sporting events, to instant answers like the local weather via weather.com or a translation of a foreign word. “Plus, a bonus if you find yourself with two dozen tabs open across three browser windows: Search for a website in your Omnibox and Chrome will tell you if it’s already open and let you jump straight to it with ‘Switch to tab.’ Soon, you’ll be able to search files from your Google Drive directly in your Omnibox too,” Powers and Beckmann said. The first thing that we generally do when we get a new gadget or use services is to personalise it to ‘make it our own’. We change wallpapers, make playlists and add shortcuts for easy access. Similarly, the new Chrome lets you personalise it. You can now create and manage shortcuts to your favorite websites directly from the new tab page by simply opening a new tab and selecting “Add shortcut.” Users can can now customise the background of a newly-opened tabs with a photo of their choice. Google has been doing a lot to make the Chrome experience better and safer. To name a few things, it has added security features and rolled out the Page Lifecycle interface, which enables more efficient memory management for the browser. Google is now rolling out a set of new experiments to improve Chrome’s startup time, latency, usage of memory and usability. The experiments have not been detailed by the company just yet.